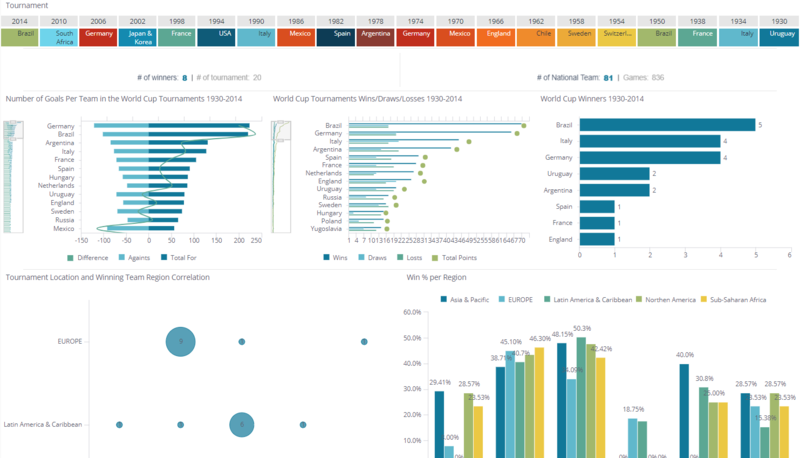 Review your favorite team’s data and drill down on any widget to discover more. This dashboard is linked to public datasets going back 1930 so there is plenty to discover. Read our article predicting the winners of the 2018 World Cup in Russia that uses this data and our 'success prediction model' to determine who will be in every round - including the Finals.